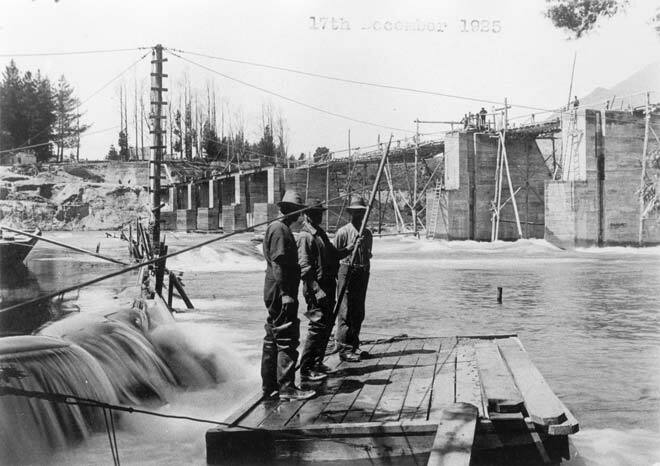 A dam that also served as a bridge was built in 1925–26 where the Kawarau River drains Lake Wakatipu. The dam had gates which could be closed. The theory was that once the water supply was shut off the river bed downstream would be exposed for mining. It didn’t work, however – other rivers enter the Kawarau downstream, so the water level only fell slightly.